Directions read our e-books on the Follett Destiny platform. Click here to read the Big Timber ebooks (the password is on the Super Secret Password list below). Click here to watch a short video explaining how to use the ABC CLIO databases (you'll need to be logged to your school Google account). Thousands of up-to-date, articles, images, videos, audio clips, primary sources, maps, research tools, and recommended Web sites. Or watch a short video explaining how to use Britannica (you'll need to be logged in to your school Google account). Classroom Video is a curriculum-focused video subscription providing unlimited access to thousands of videos for ALL departments. Students can explore and learn; teachers can embed links to videos and clips in Google Classroom and Edmodo. The content is correlated to Common Core, state, national, IB, College Board AP, NGSS, and national STEM standards. Or watch a short video explaining how to use EBSCO HOST (you'll need to be logged in to your school Google account). Access your textbooks here, along with worksheets and screencast tutorials. You'll need the class code from your teacher. Click here to get to student specific online subscriptions. Follow the directions and make sure you capitalize where necessary. Created by the Meriam Library of California State University, Chico. An overview of what you'll need to write a research paper. Can you type with more than two fingers? Did you know that keyboards were designed to make it easy to type quickly? Bring your keyboarding skills up to speed with this site. SAT and ACT preparation, math and science tutorials; sponsored by the United States Army. 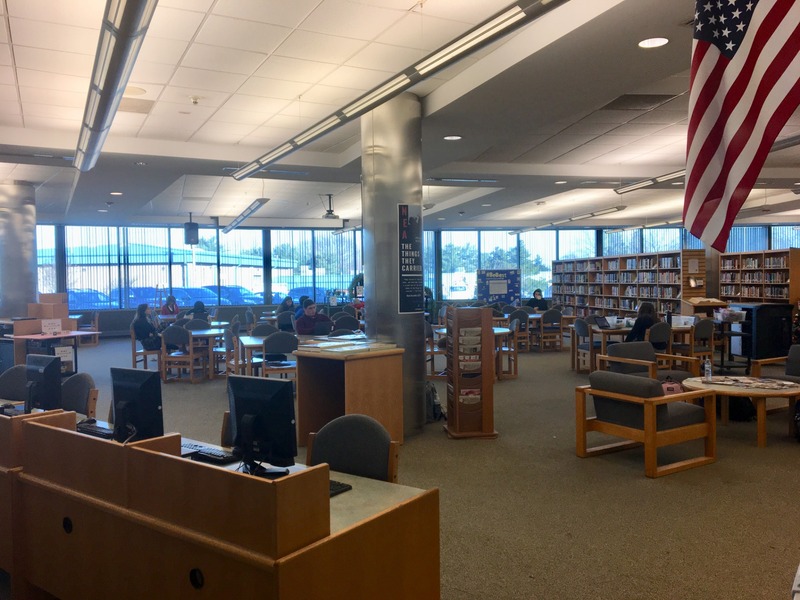 After school, from 1:40 until 2:30, Monday through Thursday, in the Biography area of the Mariner Media Center. No appointment necessary. After school, from 1:40 until 2:20, Mondays and Wednesdays in C-04. No appointment necessary. Read, relax and engage your brain. Find a book, take a free magazine, use a computer, work on a puzzle, play chess, checkers or dominoes, build something with K'NEX, program Ozobot and Sphero robots or borrow a ukulele. Check closings and availability of the computer lab. Thousands of videos for ALL departments; embed links to videos and clips in Google Classroom and Edmodo. The content is correlated to Common Core, state, national, IB, College Board AP, NGSS, and national STEM standards. Online editions of ScienceWorld and UpFront current event magazine. Email Ms. Ivarson (kivarson@trschools.com) for the access codes. Our mission is to support our students in becoming successful lifelong learners by engaging them with print and electronic resources, instruction in the responsible use of technology and coaching to build the critical skills required for research and writing. Why do we still need libraries when everything is on the Internet? Google and Students, perfect together? An examination of recent studies on the information seeking behavior of undergraduate students as well as efforts by academic librarians to increase the information literacy of their students.